So for every contractor in your San Mateo office you can put 4 in Shenzhen or 2 in St. Petersburg. Or, looking from savings angle, instead of paying a team of 8 engineers roughly $80K a month you can pay less than $30K in China and get yourself a hefty raise. What would it cost you in Noida? Let’s assume that you got lucky in finding a tech lead for the team and the rest of the members were typical developers you could find out there. Note that team in India also includes full time PM which is not surprising for a team of 9. The result is a staggering 5% of cost savings. Your actual numbers could be different based on your negotiating skills, but the dynamics won’t change. We stopped a development project (CICS adapter) being developed by team of five “very senior engineers” from Mastech after ~3 months due to unacceptable quality of deliverables. 2 months later the adapter was developed by a single developer we had on staff. We had to stop and take in-house a handheld development project (.NET) being delivered by a senior developer and several mid-level ones from MindTree due to low quality of code and extremely low productivity. This project was later delivered by a single mid-level developer with oversight from a senior developer in time shorter than it had taken us to ramp up the team in Bangalore. The list of examples can go on and on, they are just examples, however, considering that I could not offer any examples of an opposite nature, there is possibly a trend here. 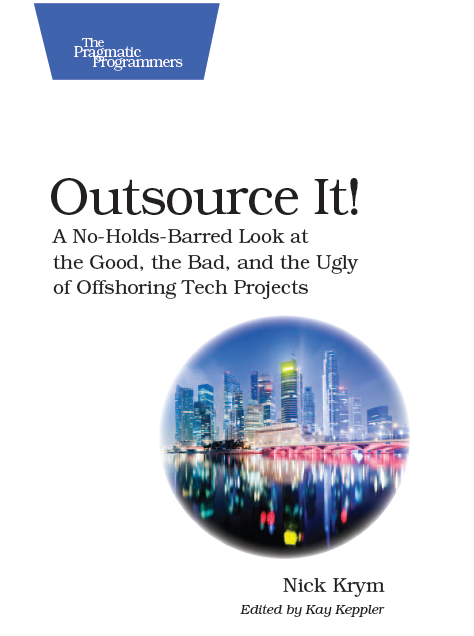 The question is why offshore developer’s productivity is so low? I’ll put my thoughts on in a separate post.